The Kingsmill “Big Break” Golf Vacation includes guestroom or condo accommodations at Kingsmill, Virginia’s largest golf resort. Home to a PGA tour event for 22 years and current host of the LPGA Tour’s Kingsmill Championship and host site of the Golf Channel’s Big Break III. Resort amenities include a sports club, spa, free transportation throughout the resort and several great dining options including the new James Landing Grill with great food and great views of the James River. You can also include any of the other great Williamsburg Area courses with this “Big Break Golf vacation. 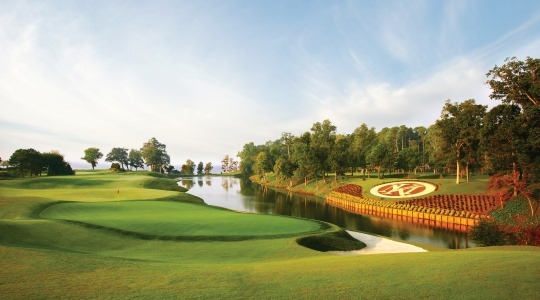 The Williamsburg area has over fifteen championship courses to choose from including the Robert Trent Jones designed Golden Horseshoe, Gold Course, Mike Strantz Royal New Kent and Stonehouse designs. Request a quote for this great stay and play promotion. Book this Kingsmill Golf Package though Virginia Golf Vacations, receive promotional rates, advance access to tee sheets and VACTION EXTRAS!